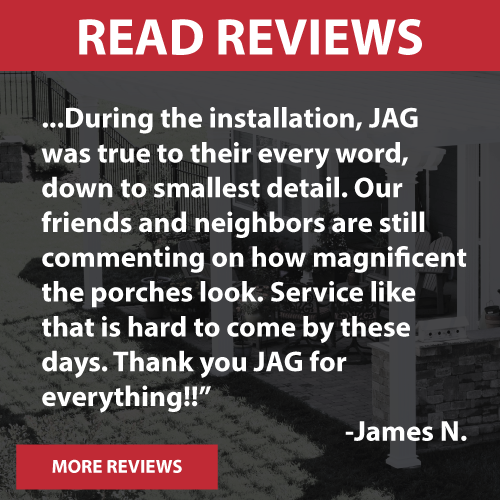 JAG helped this client with a roof issue others said could not work due to wall heights and a second floor window in the way of the porch. 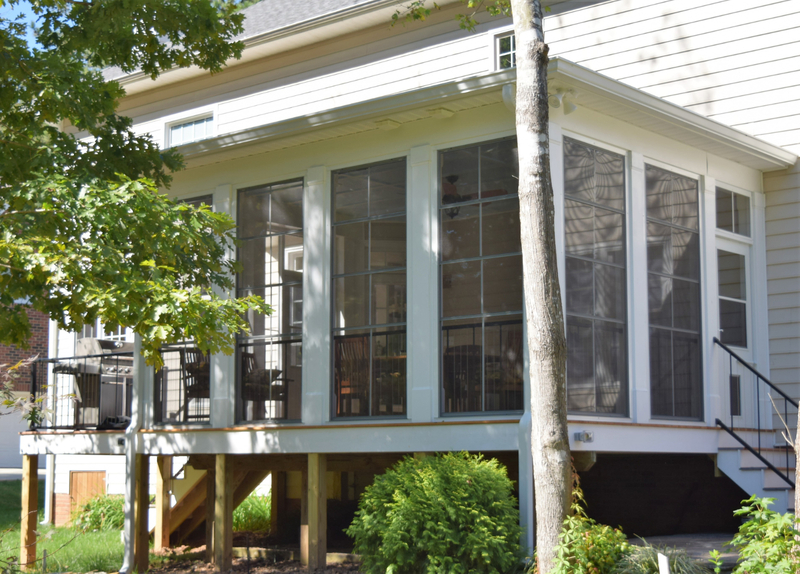 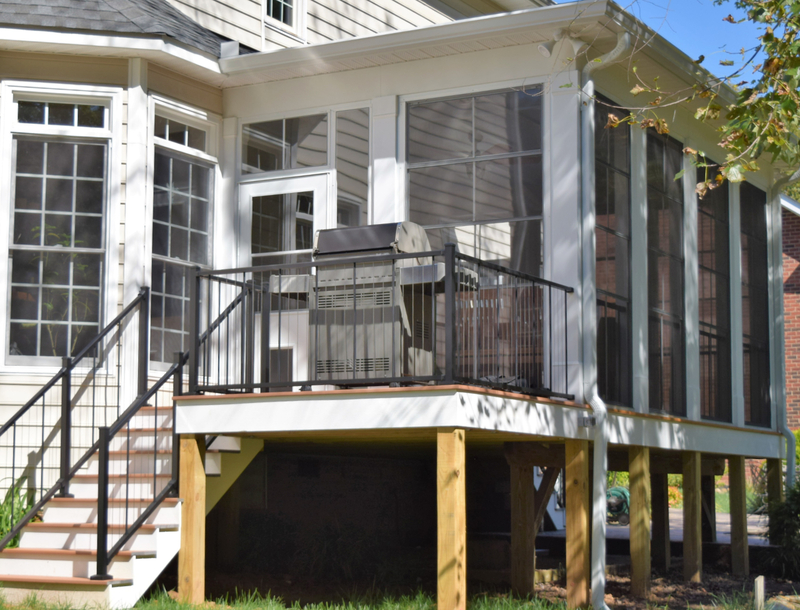 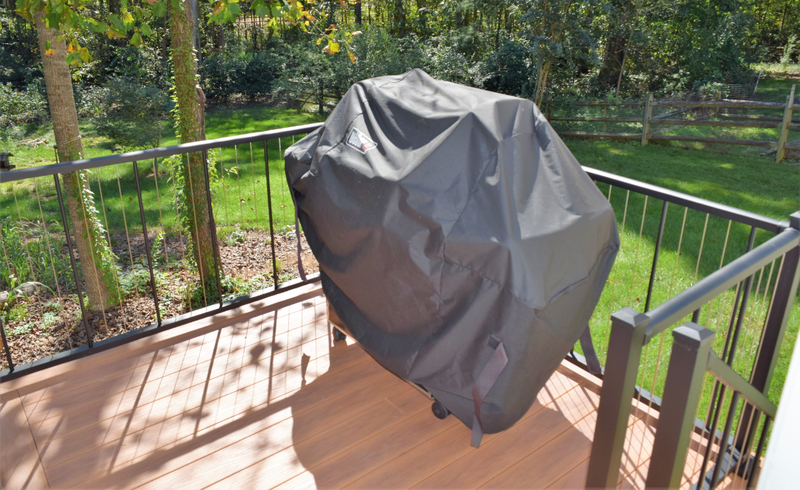 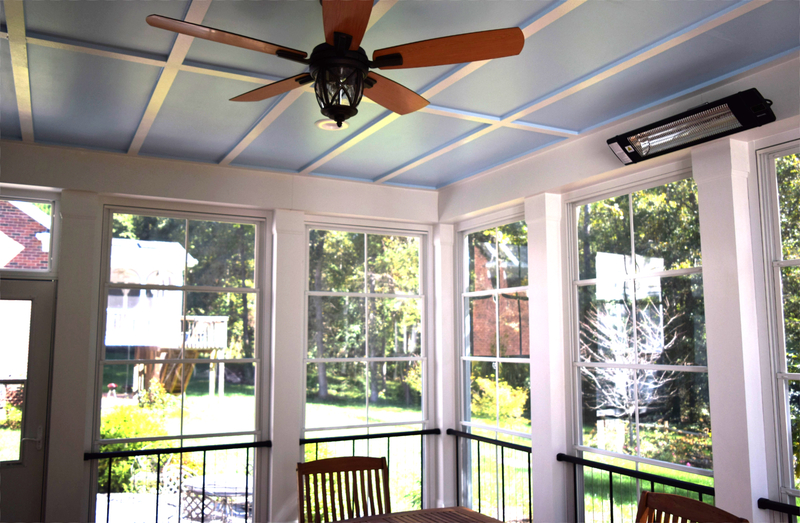 This Charlotte porch includes a low maintenance decking and rails on the grilling deck, a board and baton ceiling in the 3-season room, EZE Breeze windows between chunky low maintenance columns, pet doors, flood light above the grill and a space heater for those fall and winter cold days. 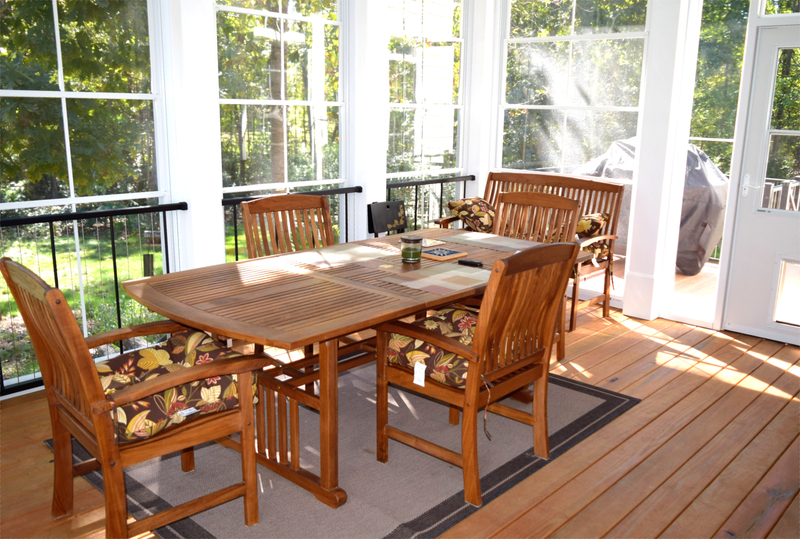 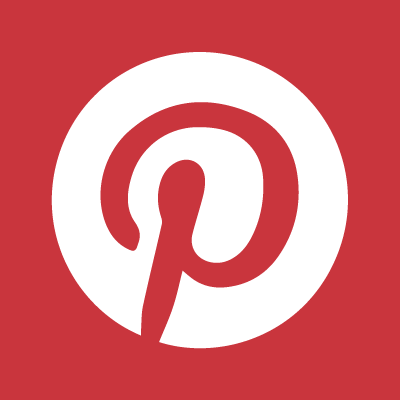 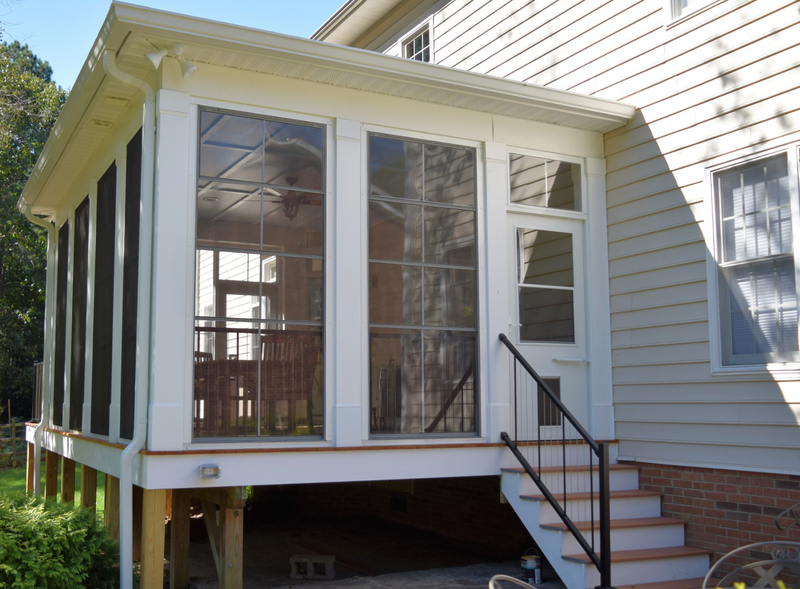 Learn more about getting your own 3 Season Porch from JAG Construction.